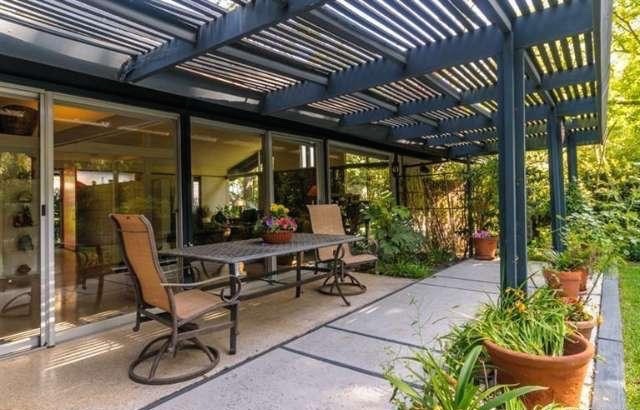 Single Story Mid-Century Modern situated on almost 3/4 an acre on one of the most sought after streets. 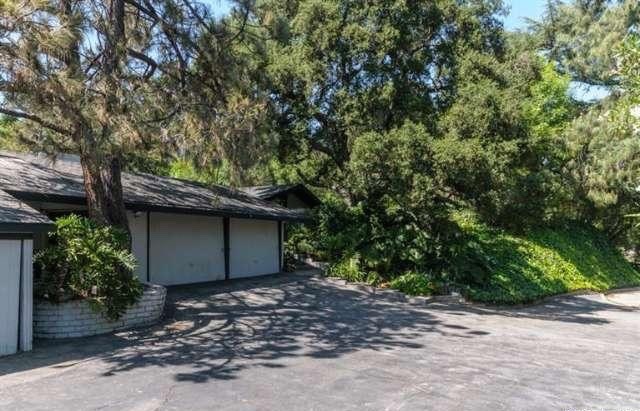 Sited at the end of the beautiful, oak tree studded cul de sac there are trails running behind the property. The grounds are characterized by grassy areas, beautifully landscaped walkways, mature trees, pool and cabana. The light filled 4 Br,3 BA home has an open floor plan with a wall of glass allowing for indoor /outdoor living. 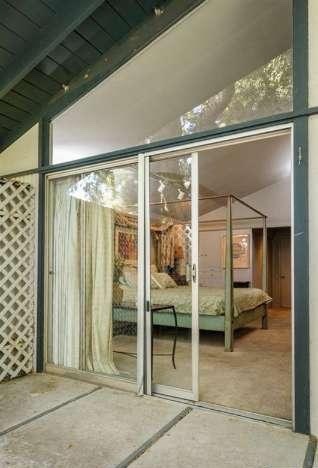 The entry has Terrazzo floors and you can see straight through to the beautifully landscaped backyard. The liv. rm. features vaulted ceilings and a frplc. The kit w brkfst bar opens to the din rm. 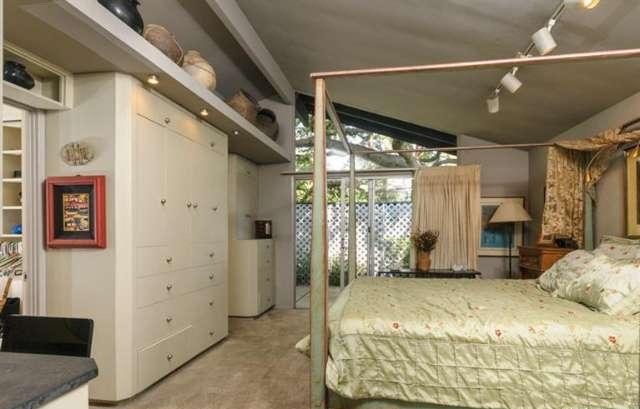 The Master BR Ste features vaulted ceilings,a private patio and a spacious walk in closet. There are 3 other Bedrms with built in shelving and abundant storage. The 4th BR/FR has an attached BR that opens to the back patio / pool area. Trees around the perimeter of the property give it total privacy.